Almost unnoticed in the U.S. news media is the fact that the Nicaraguan government, dominated by the Sandinistas, successfully voted for a new constitution that will allow the Nicaraguan president to be reelected to office indefinitely. 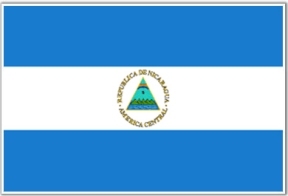 Before, the Nicaraguan constitution limited the president to two terms in office. However, the creation and passing of the new constitution will allow the Sandinistas’ main man, current Nicaraguan President Daniel Ortega, to seek reelection. This is following the same pattern in Venezuela where former Venezuelan President Hugo Chavez was able to pass a constitution that allowed him to remain in office indefinitely and to be reelected indefinitely. The same thing has now happened in Nicaragua. The new constitution passed by a vote of 64 to 25. This should not be considered unusual—most of the Nicaraguan National Assembly is dominated by the Sandinistas. Hence, the opposition never stood a chance at kicking the Sandinistas out. Likewise, the Sandinistas control almost all aspects of political life in Nicaragua. They have control of the local governments, of just about all branches of the central government, and they most certainly control the police, armed forces and prison system. The irony is that they have learned to cloak their increasingly assertive authoritarian rule in the guise of “electoral democracy” to prevent armed revolts against their rule. We have to remember that the Sandinistas really never gave up power willingly. In 1979, the Sandinistas seized power from the former Nicaraguan dictator Anastasio Somoza in a protracted guerrilla war. However, the Sandinistas, once in power, created a Cuban-style dictatorship where they were in total control. This did not sit well with many Nicaraguans, and hence a civil war broke out between the Sandinistas (backed by the former Soviet Union and Cuba) and the Contras (made up of many different political factions who took up arms against the Sandinistas and were armed by the United States). Because of the total war, the country was wrecked, and the Sandinistas were eventually forced to hold elections in 1990 which they lost. Since 1990, the Sandinistas learned from their mistakes and worked to put their own people into local offices and regional positions to help eventually bring themselves back to power. This came to fruition in 2007 when their main leader Ortega was elected. They intend on staying in control. To help further consolidate their control, the Sandinistas have established strong relations with China, Cuba and Venezuela. The changing of the constitution is simply one more stone in the grand architectural scheme for the Sandinistas to make sure they will have no exit from the scene.